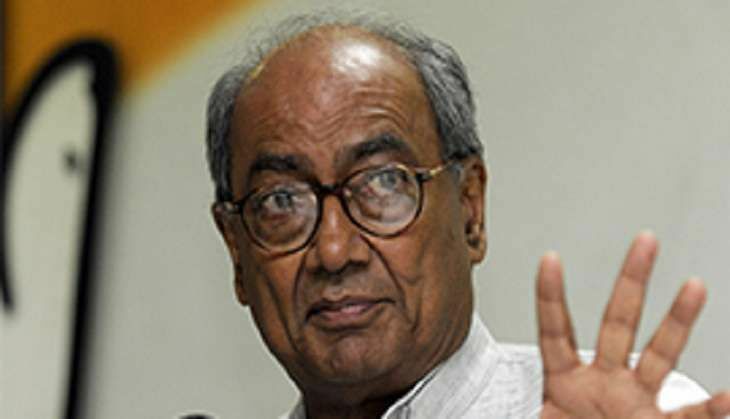 Senior Congress leader Digvijay Singh today slammed Prime Minister Narendra Modi for labelling some parties in Goa as "pickpockets of democracy" and said regional outfits have legitimate right to seek votes. "The PM's speech was pure rhetoric and political, where he sort of called regional parties as pickpockets. Is this the language of a Prime Minister? I strongly condemn it," he told reporters, a day after Modi's rally in poll-bound Goa. The Congress veteran said "Regional parties have a right within the Constitutional framework to ask for votes. Who are you to call them pickpockets?" The Prime Minister, in his public speech yesterday in Panaji, dubbed parties contesting the February 4 Goa Assembly polls only to split votes as "pickpockets of democracy" and cautioned voters against them. A slew of regional parties are in the electoral fray in the tiny coastal state. Singh said Modi skirted real issues like special status category to Goa, mining, employment, casinos, regional plan and environment, and only indulged in rhetoric. Referring to Modi's statement that some people are questioning the poll dates in Punjab and Goa, the former Madhya Pradesh CM said at least his party is not doing so. "Who is questioning the timing of Goa election? Has Congress questioned it? The timing of Goa and Punjab polls was decided by the Election Commission. "As far as presentation of Union Budget is concerned, the EC has directed the Government not to announce any scheme specific to the poll-bound States." To a query, the AICC General Secretary said Priyanka Gandhi is campaigning only in Uttar Pradesh. "Soniaji is not well, Priyankaji is not in active politics, she is confining herself to UP." The Rajya Sabha MP said in Goa the party will try to gain majority. "We are fighting on 37 seats (out of the 40) and have seat-sharing on the remaining three. We will try to win every seat. Instead of a pre-poll alliance, we have gone for seat adjustment." Singh said the party did not opt for alliance as such an arrangement works only when votes are transferred among coalition partners.